Patricia Barry Corbett, New York native, Columbia University graduate and trained singer, married J. Ralph Corbett in 1930 and made Cincinnati her home in 1932. By 1955 the couple had amassed enough funds from his company, Nu Tone, to establish the Corbett Foundation. 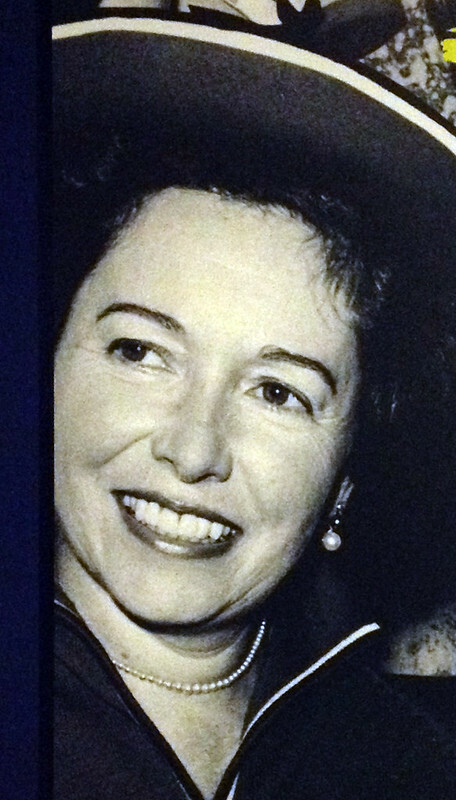 By the time of Patricia's death in 2008, the Corbetts had donated more than $65 million to the arts, medicine, and education in the Queen City. The Corbett Foundation funded a multitude of projects that involved music, such as Music Hall renovations, Cincinnati Symphony Orcestra and Opera tours, Riverbend Pavilion, and countless other artistic endeavors. They also established auditoriums at University of Cincinnati's College Conservatory of Music, Northern Kentucky University, and School for the Creative and Performing Arts, becoming one of the key influencers in making Cincinnati the city that sings. In honor of her lifelong commitment to philanthropy, Patricia Corbett's name adorns countless buildings and performance halls across Greater Cincinnati.